Automotive and aerospace sectors are expected to create incremental growth avenues for Asia-Pacific basalt fibers market during the forecast period. Factors contributing towards the increasing usage of basalt fibers across automotive and aerospace sectors are fuel efficiency, low water durability and absorption, high mechanical strength and resistance power towards changing chemicals and temperature. 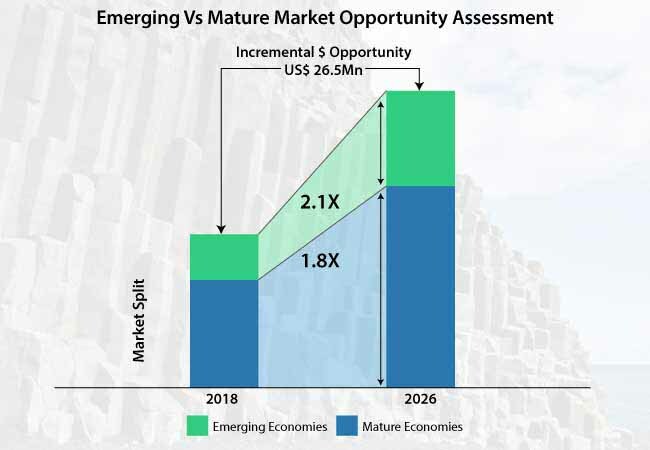 APAC basalt fibers market is mainly been driven by rapidly increasing end-user industries and presence of diverse domestic players across the vertical market segments such as constriction and automotive. Asia-Pacific basalt fibers market is expected to grow at a robust pace with China being the growth engine, over the forecast period. Increasing focus on the basalt composites and entry of various players are expected to drive the basalt fibers market in China. Large construction and building industry as well as rising wind energy and automotive sectors are expected to further drive the growth of Asia-Pacific basalt fibers market. In addition, electronic industry is likely to turn out to be a potential application for Asia-Pacific basalt fibers market on a larger basis. Key players and manufacturers in Asia-Pacific basalt fibers market are taking immense efforts in focusing on R&D activities for developing innovative products in both existing as well as emerging markets in the region. This step is taken for catering to the growing demands from application industries. Manufacturers in Asia-Pacific basalt fibers market have been focusing on Japan and China compared to other nations owing to low operation and labor costs. Apart from this, rapidly increasing population in Asia-Pacific, growing urbanization as well as governmental support are some other factors forming positive outlook for the growth of Asia-Pacific basalt fibers market. Fact.MR forecasts that basalt fibers market across the globe will expand at a robust 8.5% CAGR throughout the forecast period, 2018-2026. Europe is likely to take the lead in basalt fibers market on a global basis, both with regards to consumption and production as well. In addition, Russia is likely to hold a significant share in European basalt fibers market. Demand and supply of basalt fibers has been increasing from automotive industry owing to stringent regulations prevalent in European Union with regards to greenhouse gases and vehicle emissions amongst others. Launch of new manufacturing plants and capacity additions across Asia-Pacific, Europe and North America is likely to proliferate in the forthcoming years, particularly with the constant investments in research and development. Increasing government expenditure on industrial and infrastructural development has led to rising demand for the basalt fibers as it plays a pivotal role in strengthening materials for road construction, bridges and pavements amongst others. Key players and manufacturers are increasing their focus on development of alternate low-cost technologies, in order to cater to the growing production demands of basalt fibers, thereby paving ways for development of new production plants. Rapid increase in the usage of light weight composites material for the manufacturing of aircraft bodies and automotive components surges the demand and supply of basalt fibers across the globe during the forecast period.